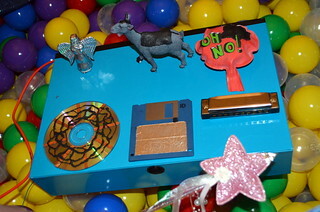 Users can select different sound sets by touching objects with the fairy wand. Any physical connection that has to move, electronic or not, is generally the weak point in a physical system, yes, but renewability is a good secondary solution to durability so your build sounds workable to me. Good luck with testing!